Coding neatly and reliably in the industrial field. Products that stand for highest quality standards also demand a pleasing appearance with a high, consistent level from their markings. With an individual batch number, manufacturers can always accurately trace which ingredients were processed at a certain point of time in production. 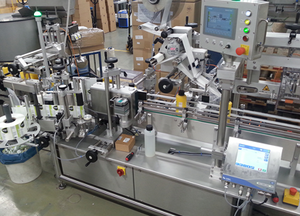 Many companies do not work in the 24/7 shift operation and the coding system for the marking is needed only for the date of packaging. The low maintenance Thermo-Inkjet maximises the availability, ensures the high resolution print quality and provides smooth processes. 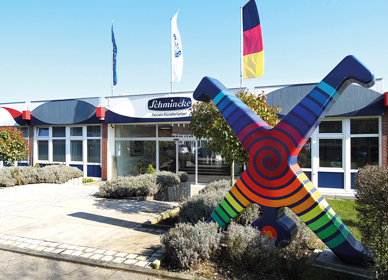 Since the foundation of the company more than 100 years ago, Schmincke has produced and marketed modern colours for artists with the highest quality. 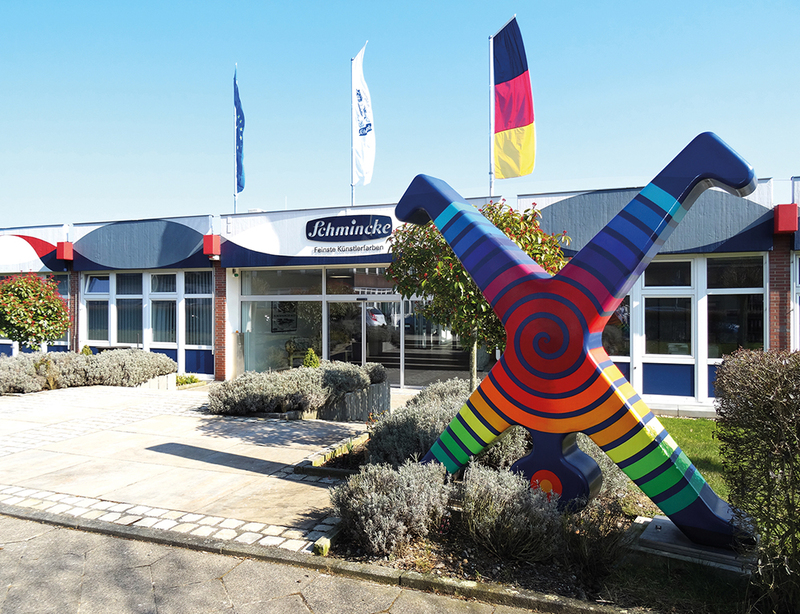 The high quality standard is not just a commercial aim for Schmincke, rather, it has made the company one of the leading suppliers in the demanding art scene. The portfolio of finest artists' colours combines tradition, quality and passion and essentially covers all segments of artists' colours at the highest level. For this, the company's formulas continue to be refined and further improved according to the strictest benchmarks. "We were pleasantly surprised by how easily the betaJET verso could be integrated in our production lines." "The ink cartridges can indeed be replaced quickly and easily. The printers work very neatly and are almost maintenance free. 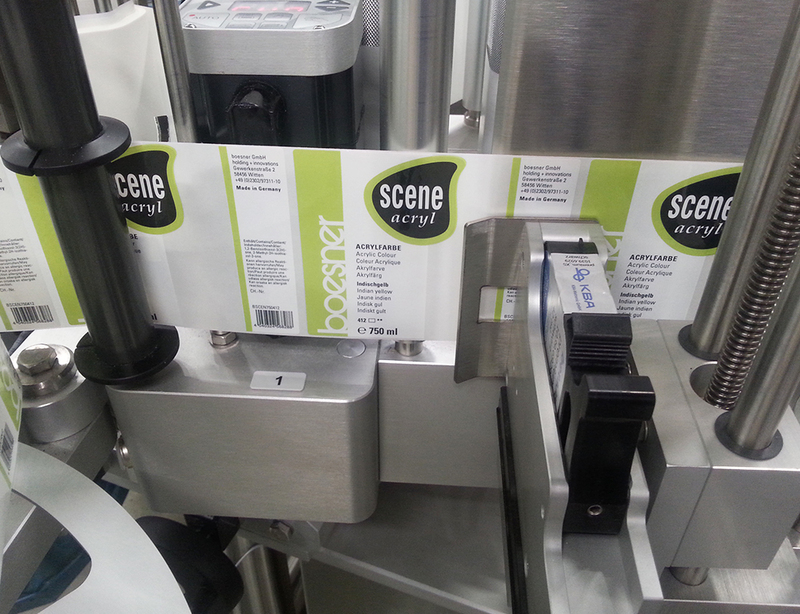 The Thermo-Inkjet technology is just exactly right for us." 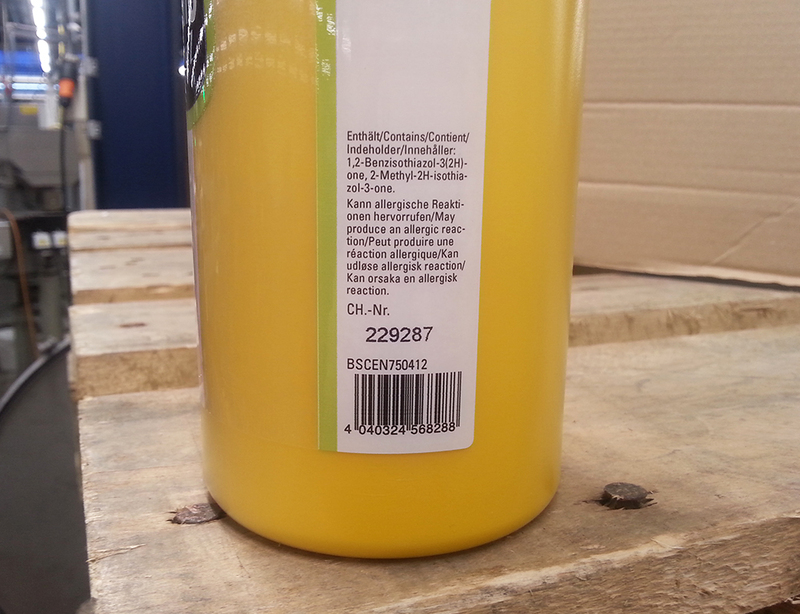 According to EUH 208 from mid 2016, water based colours and auxiliary agents with preservatives must have a label for consumer protection which gives information about the ingredients which can cause an allergic reaction. The existing hot stamping systems are inadequate for this extensive information. 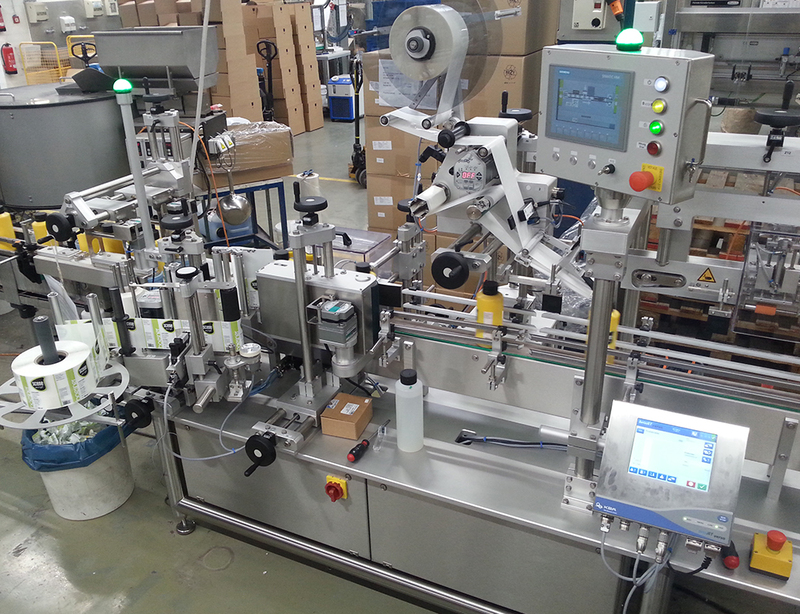 Investment was also made in new labelling setups in which the same coding systems should be integrated as far as possible. It minimises operational errors. Finally, a decisive criteria was also the desire for a low maintenance system. The wide range of auxiliary agents from Schmincke appears in the most varied packaging sizes and forms. The print results and the easy integration of the betaJET verso in new and existing setups is an aspect in favour of the technology. The integration of the Thermo-Inkjet betaJET verso is simple. The compact printer head with ink cartridges is fixed to be height adjustable and readily available. 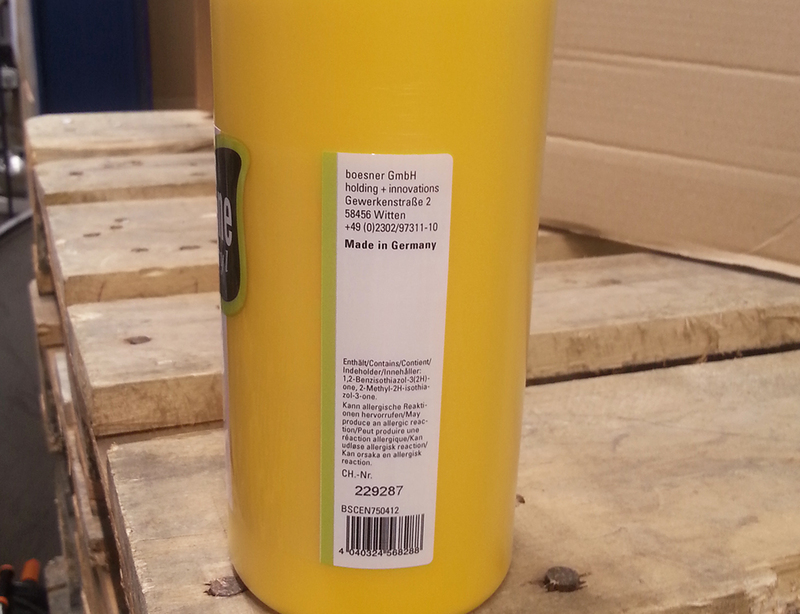 With the use of solvent based ink, even the drying time of the marking is not a hurdle. Print jobs can be quickly completed with speeds of up to 150 m/min. Even at these high speeds, the betaJET delivers pin sharp results. Frequently changing marking tasks and variable data are comfortably and easily entered via the integrated label editor. The ink cartridges can be changed without tools with simple manipulation. Set-up times due to change of colour film and galley are completely omitted in this technology.